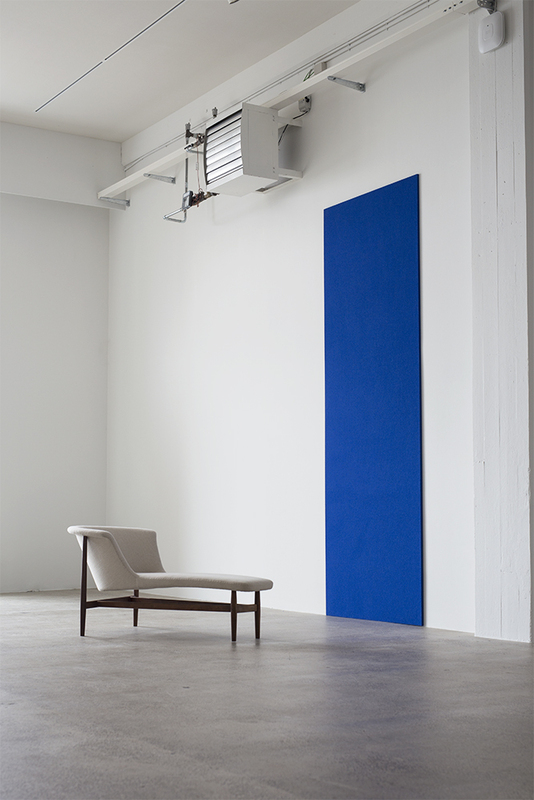 For the opening of our new gallery space in Copenhagen we showcase selected works by Nanna Ditzel (1923-2005). The opening took place on Friday October 7th and is a continuation of our latest show at Design Miami/ Basel in June, arranged in collaboration with Nanna Ditzel Design A/S and Kvadrat A/S, emphasizing the level of innovation inherent in the works by Ditzel. 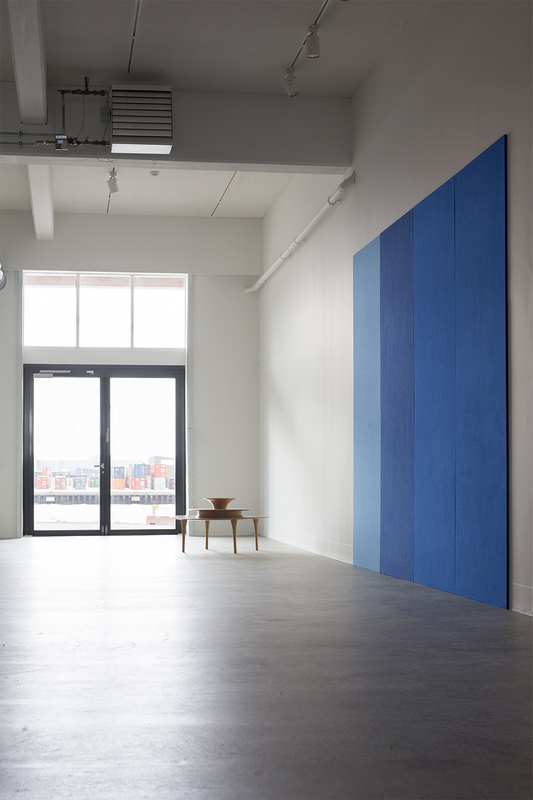 We have opened this new space with the aim to present more coherent installations in Copenhagen, while our previous gallery at Nordre Toldbod will merge with our Finn Juhl showroom and form a new studio area. 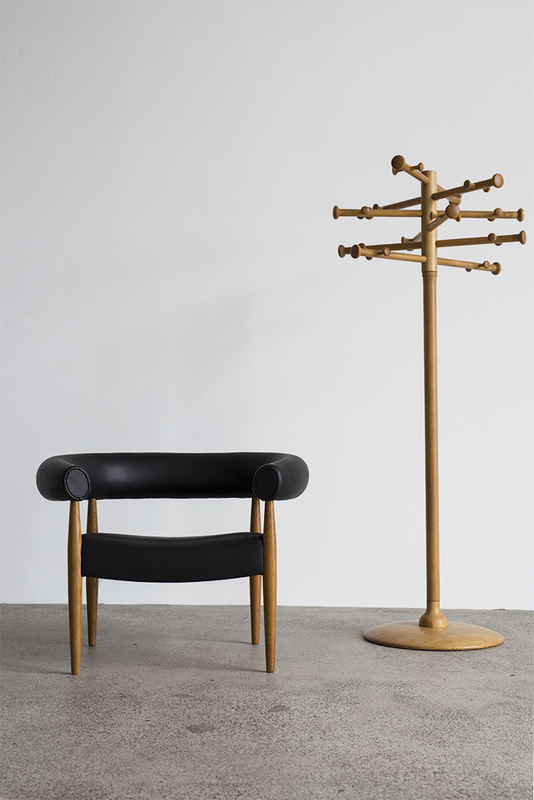 Ditzel was born in 1923 in Copenhagen, Denmark and trained as a cabinetmaker before studying at the School of Arts and Craft and the Royal Academy of Fine Arts in Copenhagen, from where she graduated in furniture design in 1946. The career of Ditzel is marked by a desire for freedom, which is evident in the the years until 1961 where her husband Jorgen Ditzel died all too young, but as much in the years following, where she continued the work the couple started. From the start of her career that latest until shortly before her death in 2005, Ditzel was always focused on new materials and techniques. Ditzel worked with various materials such as fibreglass, wickerwork and foam rubber, and in several disciplines such as cabinet making, jewellery, tableware, applied art and textiles. Over the years Ditzel was awarded numerous International prizes, which surely was a result of her versatility. 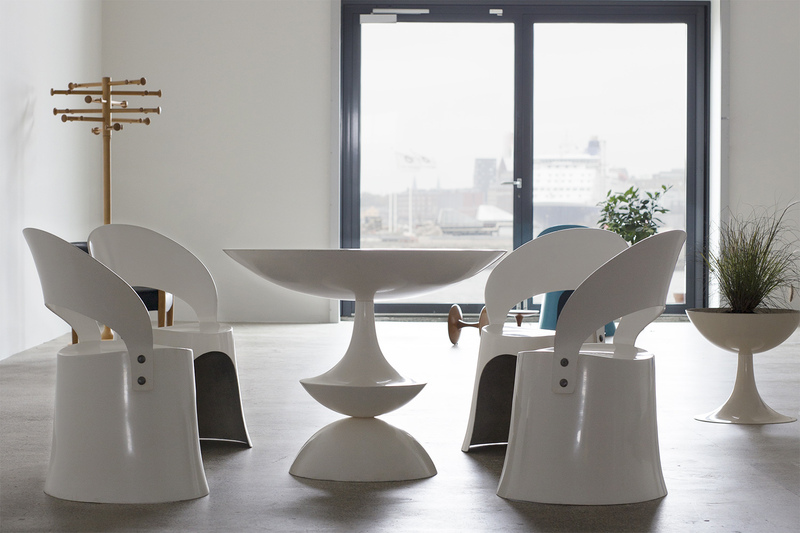 The series of fibreglass furniture was designed by Ditzel in 1969 with a modular design approach for ‘Domus Danica’ and made at Oddense in Denmark for a limited period. 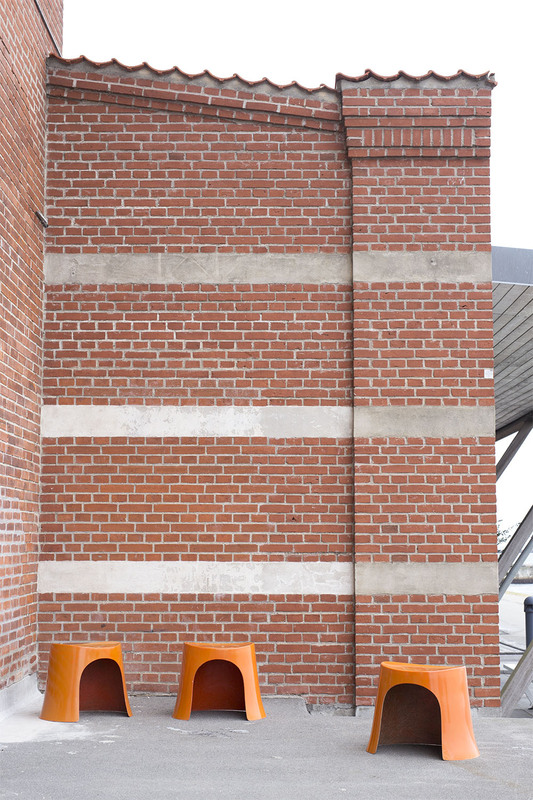 The series consisted of tables, chairs, barstools, flowerpots and stackable stools in white, yellow, orange and turquoise. Ditzel designed this series during the period after she had moved to ‘Swinging London’ in 1968 where the hippie culture was blossoming. Here she took in the new approach that everything is allowed. 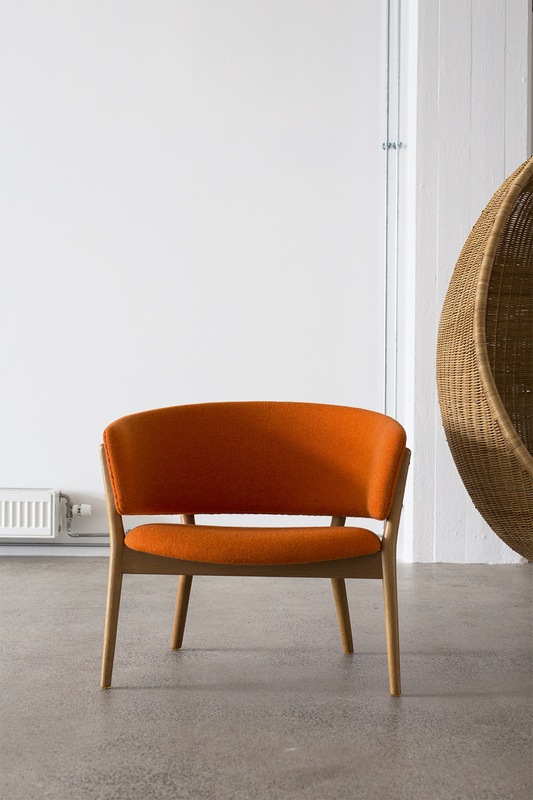 Ditzel had for a longer time been focused on designing jewellery and fabrics – the design of these furniture made it possible for Ditzel to continue designing furniture applying the forms and colours she loved. Left: Brazilian Rosewood Daybed upholstered with wool. Designed by Nanna and Jorgen Ditzel for The Copenhagen Cabinetmaker’s Guild Exhibition at Designmuseum Danmark, 1951, unique. Hallingdal fabric installation. 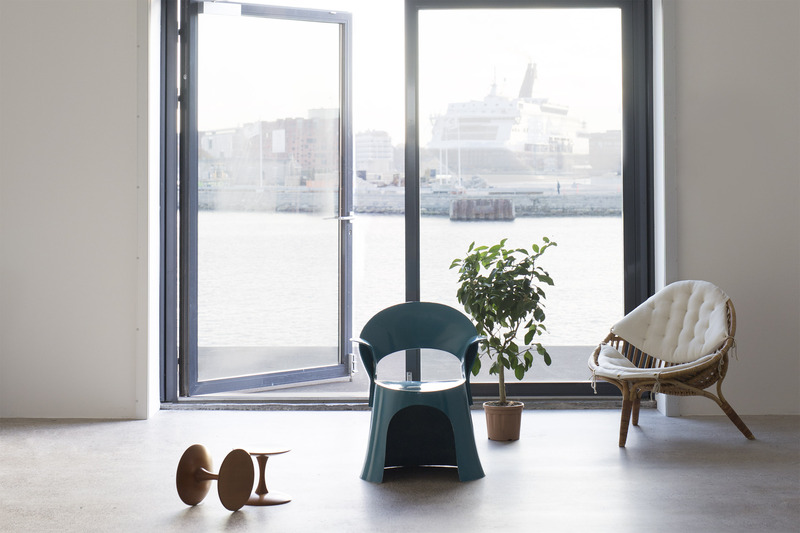 Right: The ‘Sausage chair’ designed in 1958 with a knock-down construction for easy shipping together with the ‘Coat rack’ from 1963, both designed for the manufacturer Kold Savvaerk. 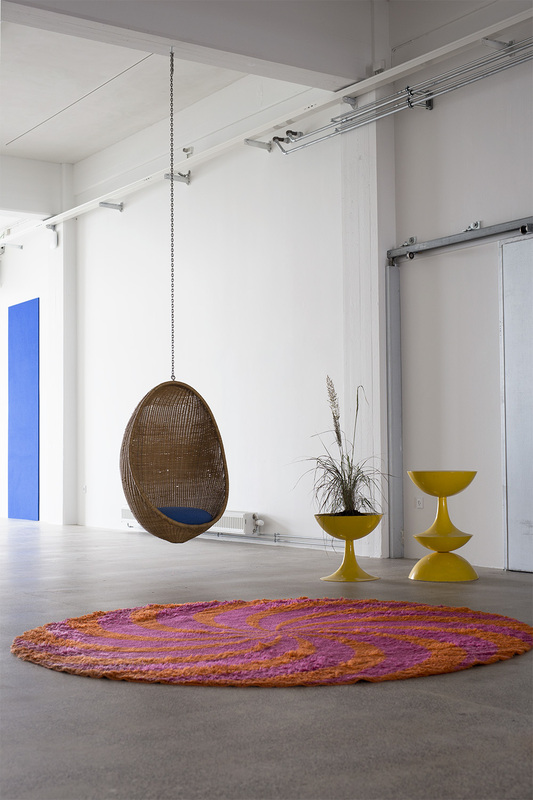 Installation view: Blue fibreglass armchair, 1969, from a set of four, together with a rattan easy chair with fabric upholstered cushions, designed in 1951 for Wengler, Copenhagen. A pair of small ‘Trissen’ stools made of Oregon Pine for Kold Savvaerk, 1962. 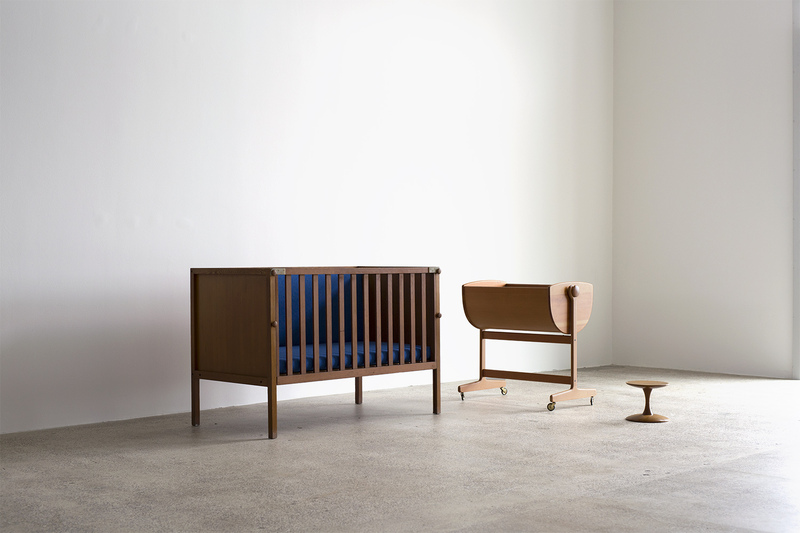 For the Copenhagen Cabinetmaker’s Guild exhibition in 1962 cabinetmaker Poul Christiansen asked Nanna Ditzel to design his booth. At a time where Ditzel was concentrated on seeing her designs in a larger context to specific rooms, Ditzel said; ‘it is like we are lost in the detail and have forgot about the whole, there is literally nobody working with room as a complete task’. The result in 1962 was a multilevel installation with chairs, stools and tables in different heights placed on carpet covered podiums, making it possible for the different positions and the family’s children, regardless of age, to be seated in the same height as the other family members. 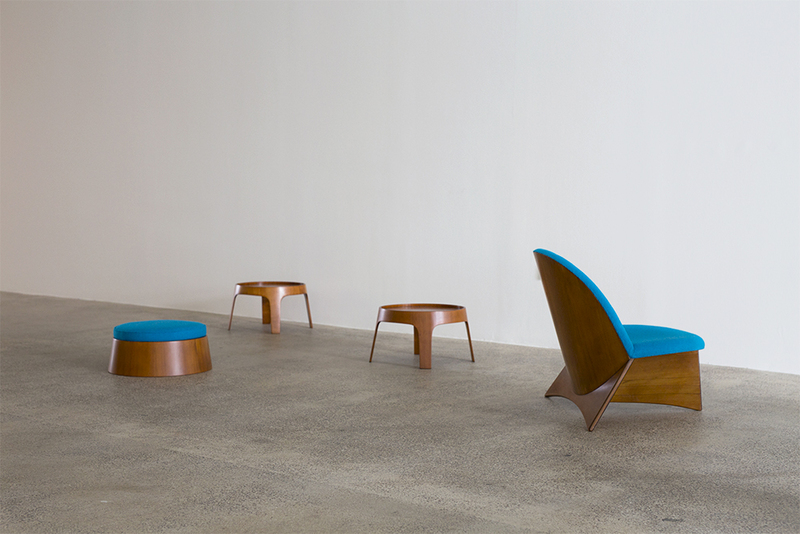 The furniture was made of molded plywood covered with Oregon Pine, upholstered with blue fabric. The Ditzel exhibition is open until November 7th. Please arrange your visit by phone or email and for any enquiries please contact Martin Arno Mathiesen at info@gallerifeldt.dk or +45 21494908.